make the commitment of Eurasia towards vulnerable populations, and thus open our field of action to marginalised populations such as refugees. become our partners such as teachers and company executives. 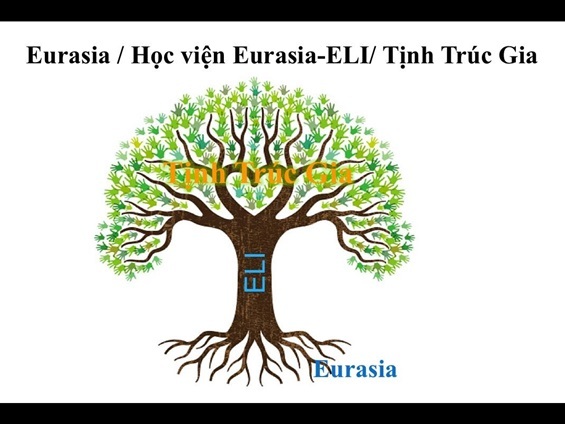 These new changes also include in a more precise manner the activities of Eurasia Learning Institute - ELI. You can read more about the flourishing activities of ELI below, disseminating hopeful seeds of change! 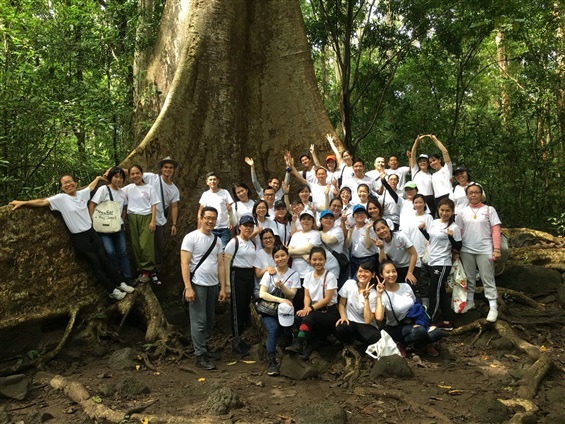 Moreover, these activities are becoming increasingly income-generating for Tinh Truc Gia (TTG) in Vietnam. ● To strive for recognition of, and respect for, their dignity and rights. well as events, which foster a profound personal and collective transformation. 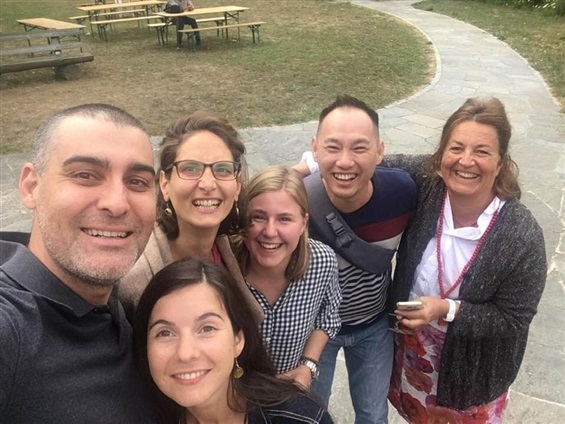 people living with disabilities, in Hue Vietnam and Mr Khanh representative of Eurasia in Vietnam, both were invited to join a special education and social therapy conference in Dornach Switzerland . Mrs Trinh was nominated representative for South East Asiafor the Council of Curative Education and Social Therapy. office in HCM, also did an internship in Geneva University Hospital in the Child Development Unit . Mr Khanh also joined some ELI trainings and events in Switzerland. 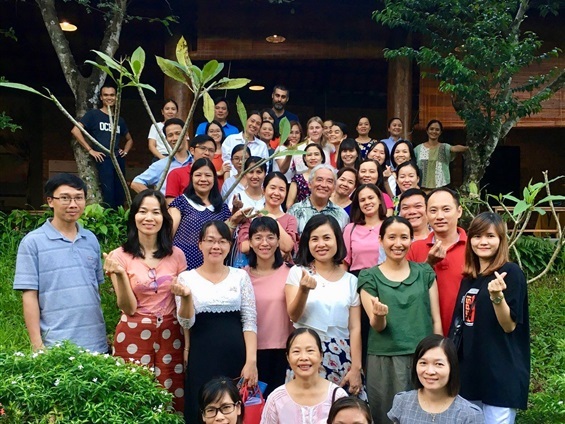 On the 19 th and 20th April 2019 we will celebrate the 10 years of the PEACEFUL BAMBOO FAMILY Tinh Truc Gia=TTG. 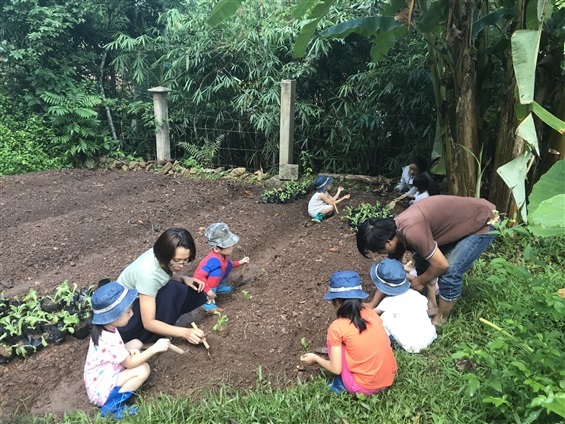 TTG is a vocational training center and living community for young adults living with disabilities, with an inclusive Kindergarten and adolescent sector and the firstbiodynamic garden in Vietnam. You are welcome to join the festivities! In TTG, life is always very joyful and animated! 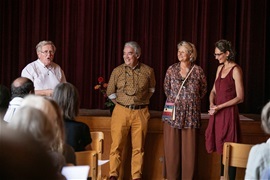 The adolescent class project was inaugurated in 2017. We now have about 12 adolescents in this class. They have the most beautiful classroom overlooking the biodynamic garden. 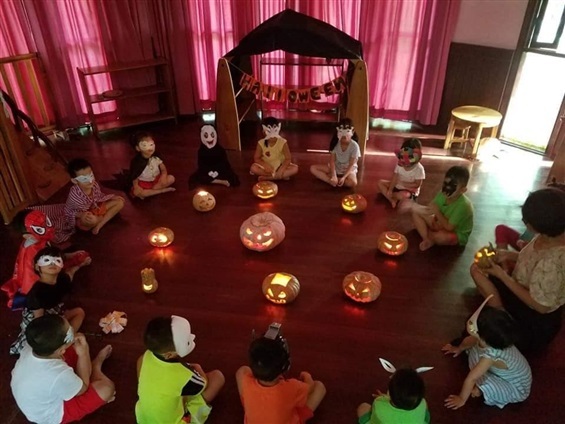 Their program contains in the mornings: yoga class, mindful walking, moments of mindfulness, artistic activities, reading, writing, counting, living skills, cleaning. In the afternoons they participate in the vocational training workshops where they can explore different manual activities like lacquer painting, gardening, making cookies or join other vocational workshops. To be integrated in a bigger community and to be part of a social intergenerational context also allows them to learn many social skills. All receive individual programs and therapies. 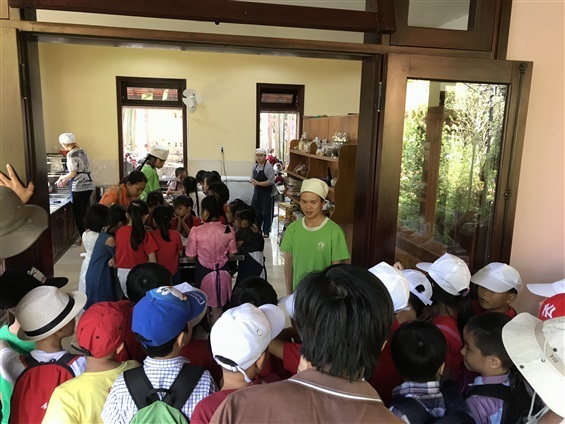 Hue City authorities and education department highly appreciate that TTG welcomes many schoolchildren of Hue City primary school to experience the biodynamic garden and vocational training workshops in the Center. Yearly we welcome over 1000 schoolchildren and it is the youngsters living with disabilities who teach the primary school children how to garden, clean and take care of the environment. buying a bigger piece of land specially for this purpose! Welcoming so many children and giving them a meaningful introduction to ecology, requires more space and a more appropriate setting. 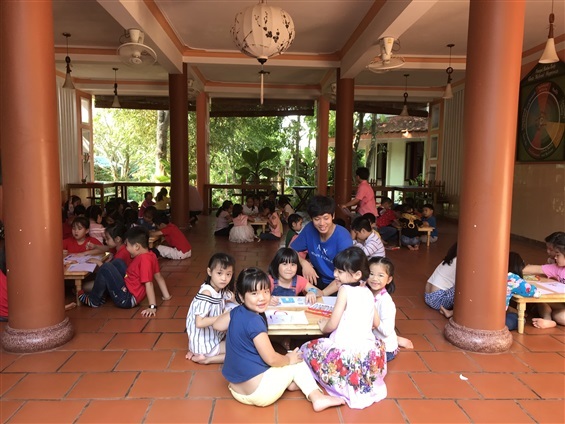 Having the youngsters living with disabilities train “normal” school children in an ecological lifestyle and community life, truly is a wonderful integration project. We plan to add a sensory educationalplayground on the EMPOWERMENT PHASE 2 land , for the often nature and movement deprived city children, who come to learn from TTG youngsters about a healthy lifestyle. This project is very important to us as it embodies not only the social but also economic inclusion of TTG youngsters. we launched this project in the continuation of the Call 2 Care project 2015-2016 . The programme includes three modules: Care for self, Care for others and society, and Care for the planet . implementing in their classrooms, and to offer a space for them to formulate their questions. Authentic Live and Learn (ALL). followed by a three-day Happy Bitis Ambassadors retreat with around 40 members of the team. 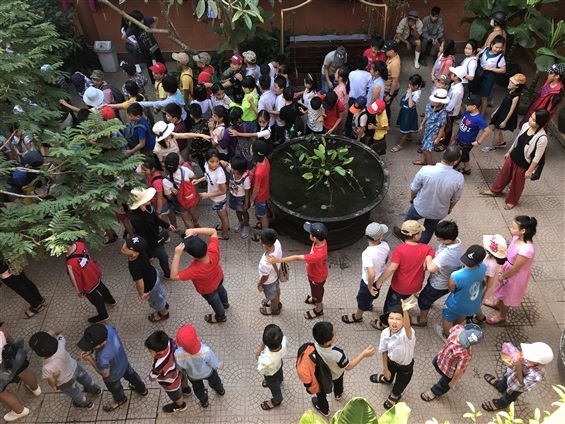 Bitis has been a very generous donor and contributor in the Happy Schools project, participating in the creation of resources and materials in Vietnamese for the project. Greenpeace International In October, ELI signed a partnership agreement with Greenpeace International. This will begin with a pilot in Japan in February, combining both face-to-face training and an e-learning module for Greenpeace middle managers. nature in order to raise funds for TTG. 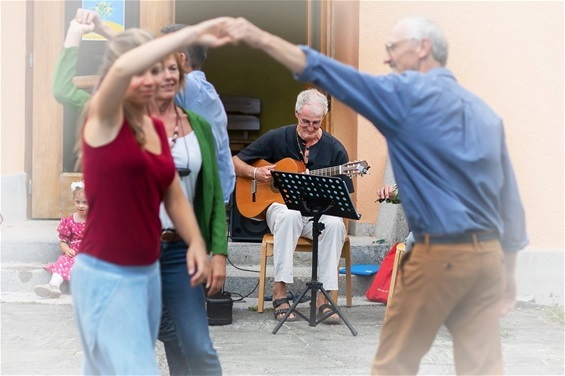 This summer, ELI organised two retreats in Le Petit Bochet. Lausanne, guiding them in a reflection process about What kind of school do we want for tomorrow? new team joining in, and many new projects. We are very thankful for your faithful support throughout this adventure.